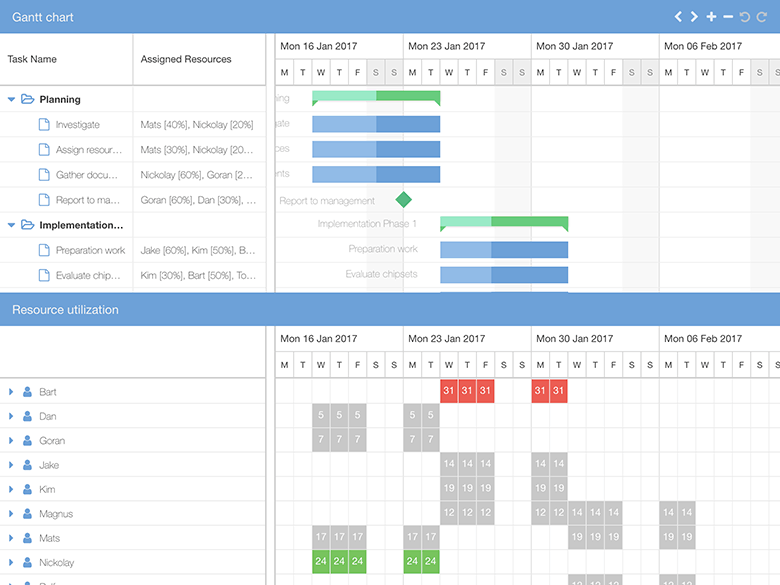 The component also integrates seamlessly with our other Ext JS based components like the Scheduler and Task Board. 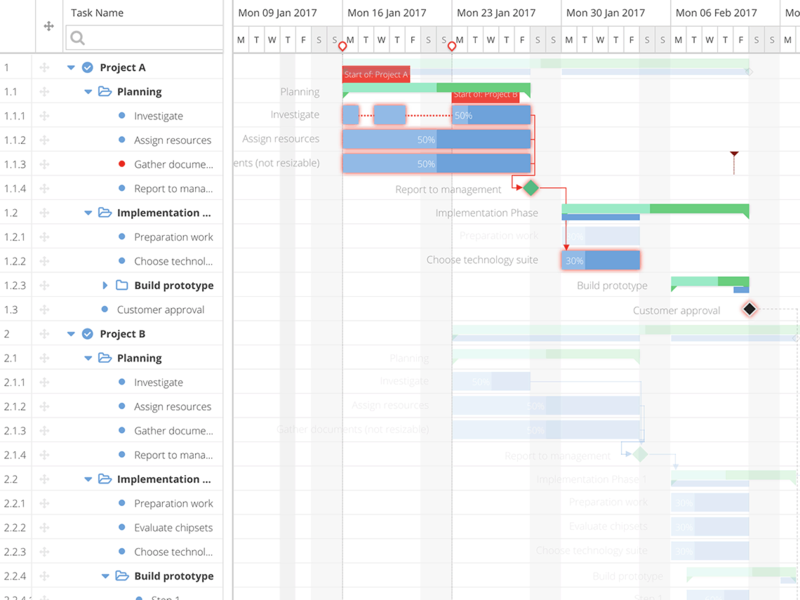 Some of the tasks in your project schedule are critical to delivering the project on time. 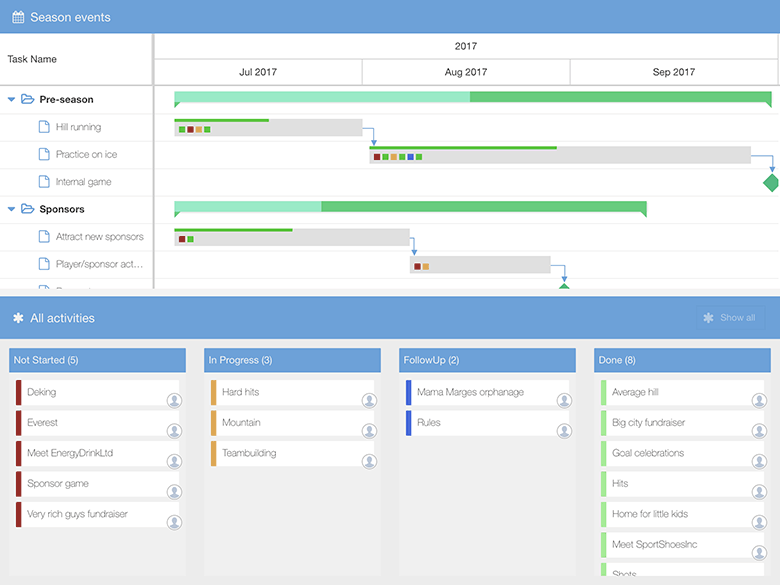 With the built-in critical path feature you can clearly see the chain of connected tasks that directly affects the project finish date. 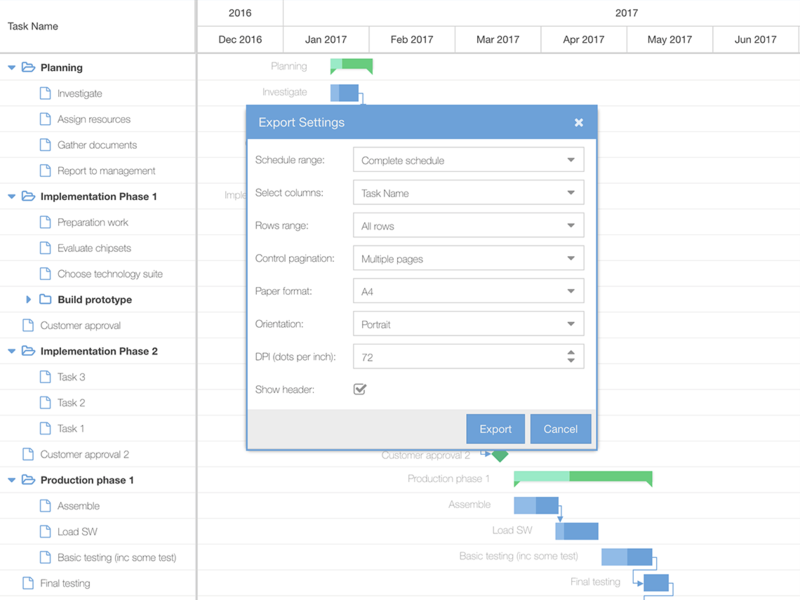 When using our export module, your users will be able to export your project schedules to PDF and PNG. 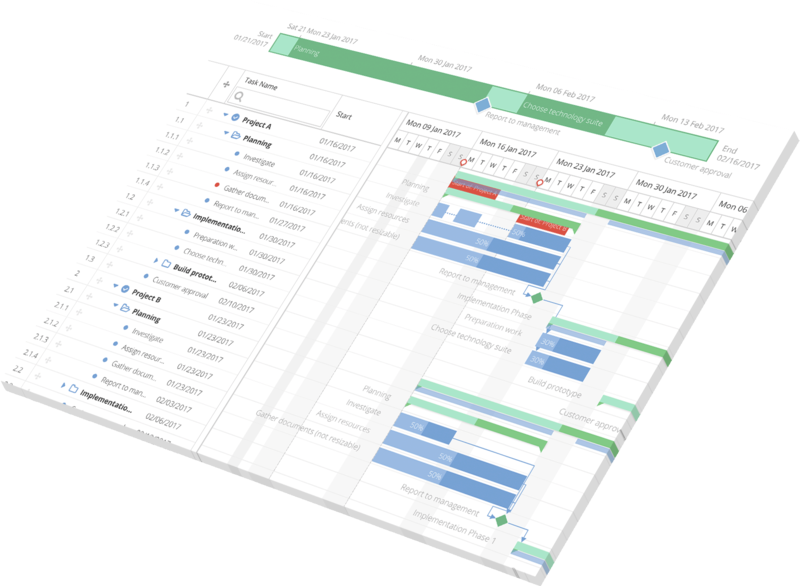 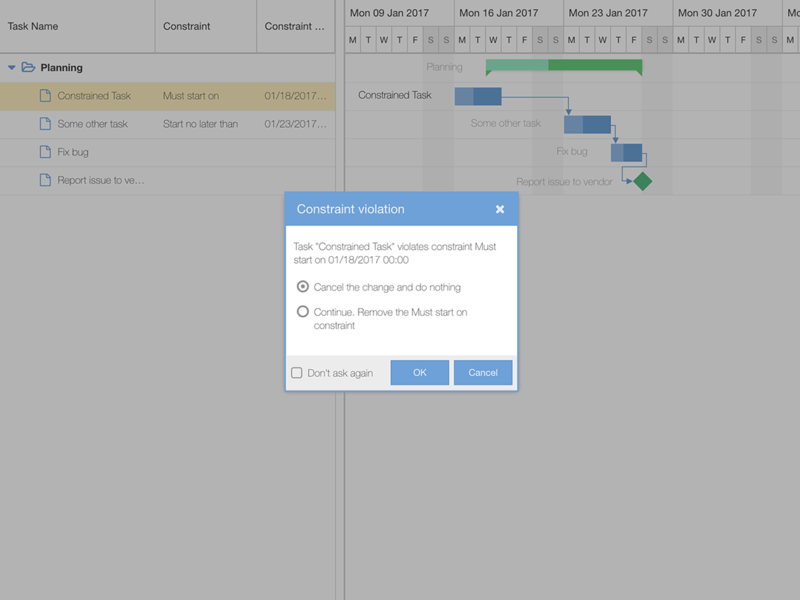 The Gantt chart also supports importing existing projects from Microsoft Project. 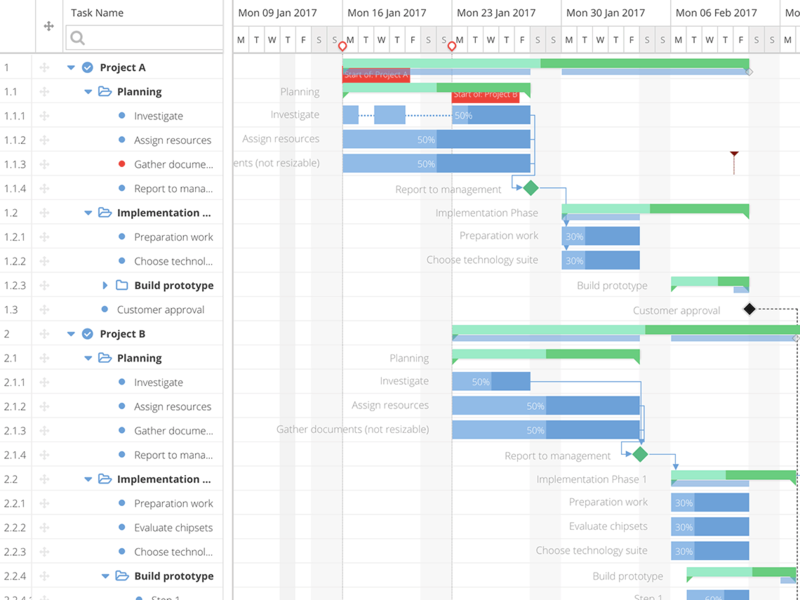 The Gantt chart has lots and lots of features built-in, such as export, histogram, timeline, calendar manager and many more showcased in the example browser. 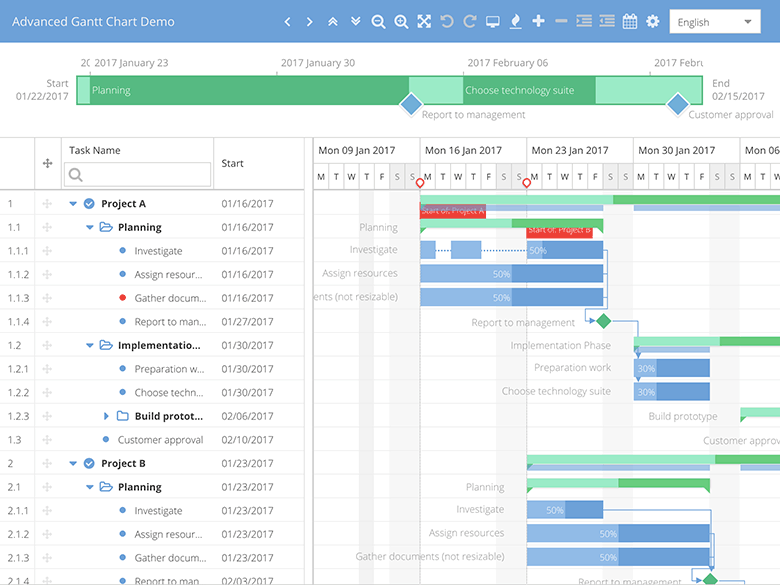 If you want to know technical details about all the features, you can always find them described in the documentation. 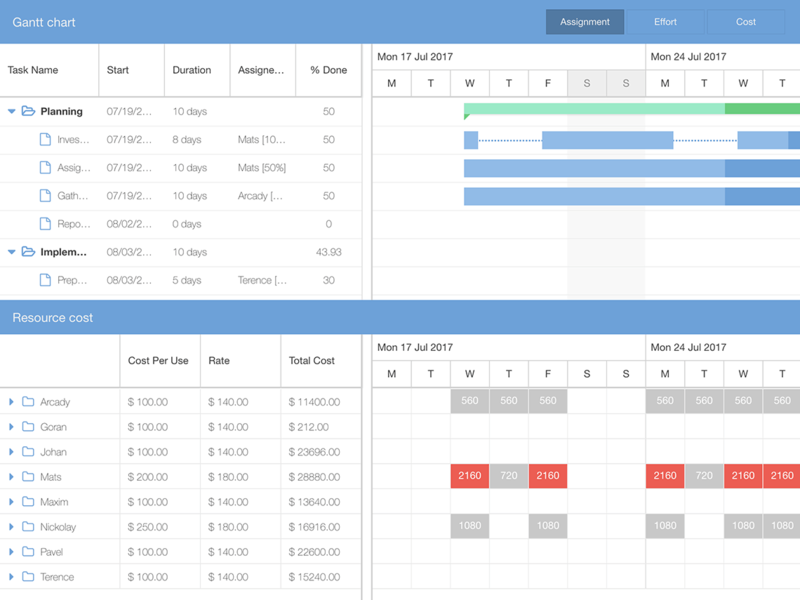 To detect resource overallocation, use the resource histogram view. 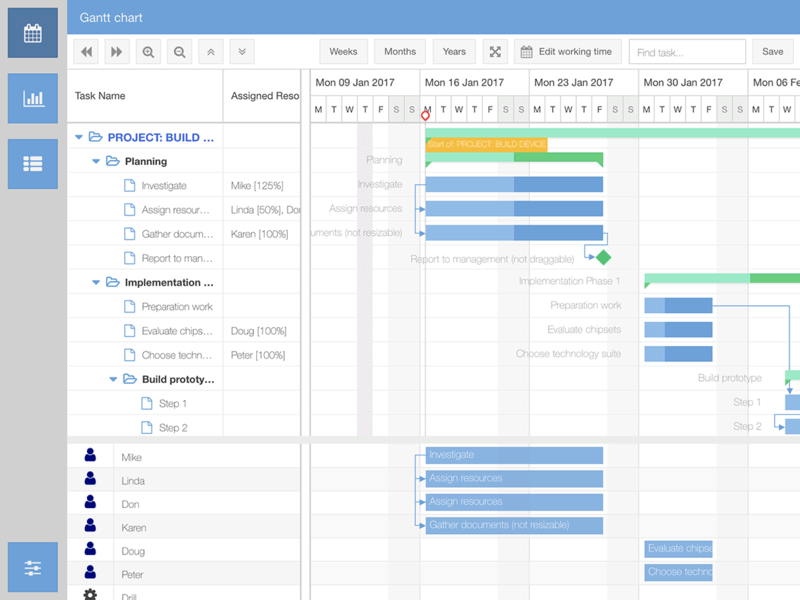 It shows the capacity of each resource in your project. 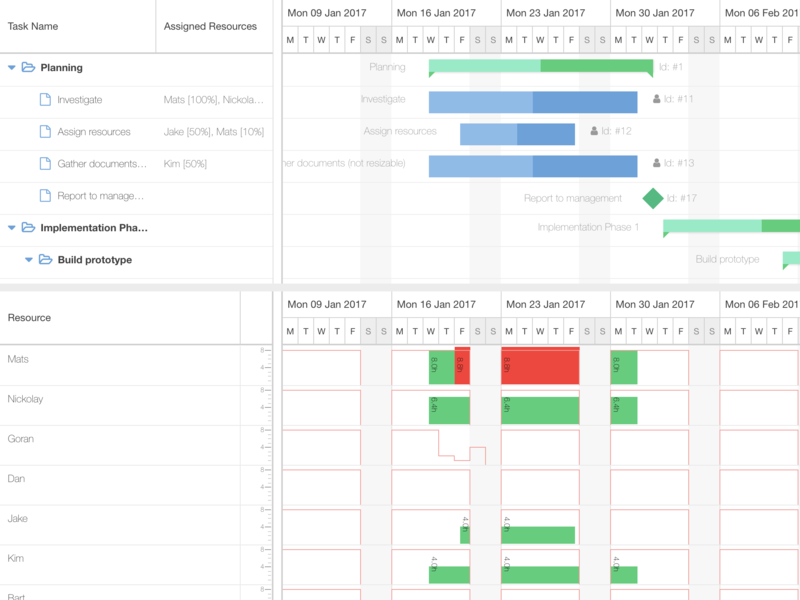 When a resource is overutilized, it’s clearly marked with red color so you can act on it.